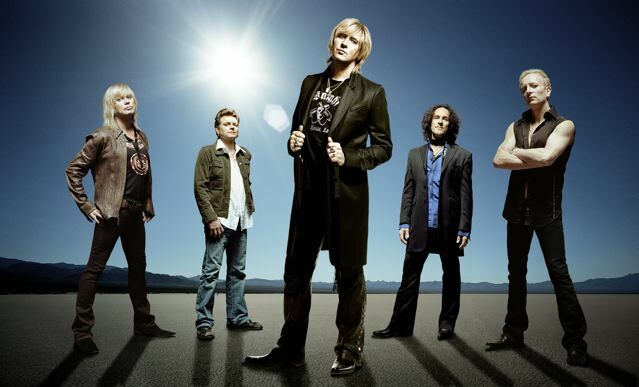 As anyone who is even remotely cool can tell you, Def Leppard is poised to take the music world by storm, charging up their new album Songs From The Sparkle Lounge for release in just a few short weeks on April 29. This marks the band’s tenth studio album – and something much more. Starting April 24, a new three-song pack will be available for Guitar Hero III. Pretty standard, you might think, but this is no ordinary song pack – this is a Def Lep three-song pack! And better yet, this is no normal Def Lep song pack, but a Def Lep song pack that features Photograph, Rock of Ages and… Nine Lives! Nine Lives is the first single off the new album, and it will be making its debut as Guitar Hero III DLC. As you may have surmised, this will be the first time a band or artist has launched a single in a videogame rather than in a traditional format. Guitar Hero will be the only way to hear the song until the single’s more orthodox release alongside the full album five days later. What does this say? I don’t know, exactly. That Guitar Hero is really popular, at least! And maybe not much else. Thoughts?